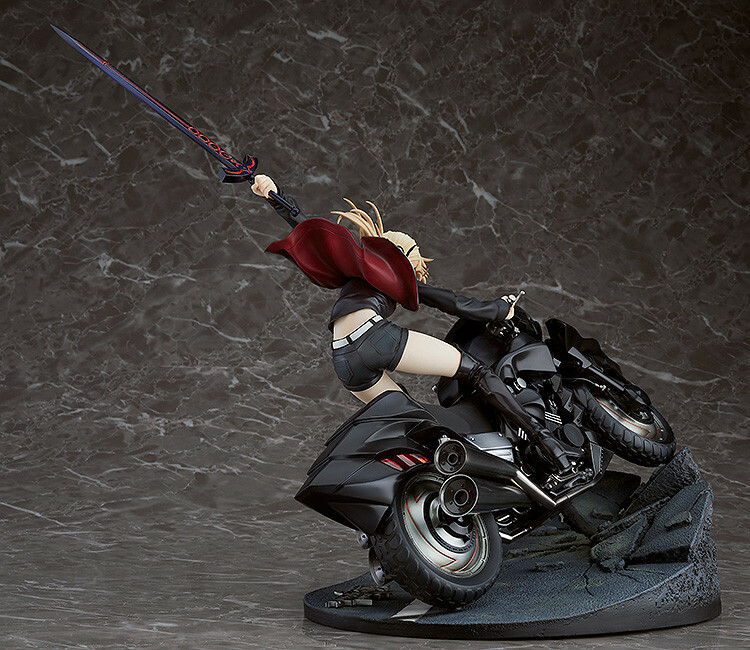 Saber Alter (Altria Pendragon) is receiving a new figure from Good Smile Company. 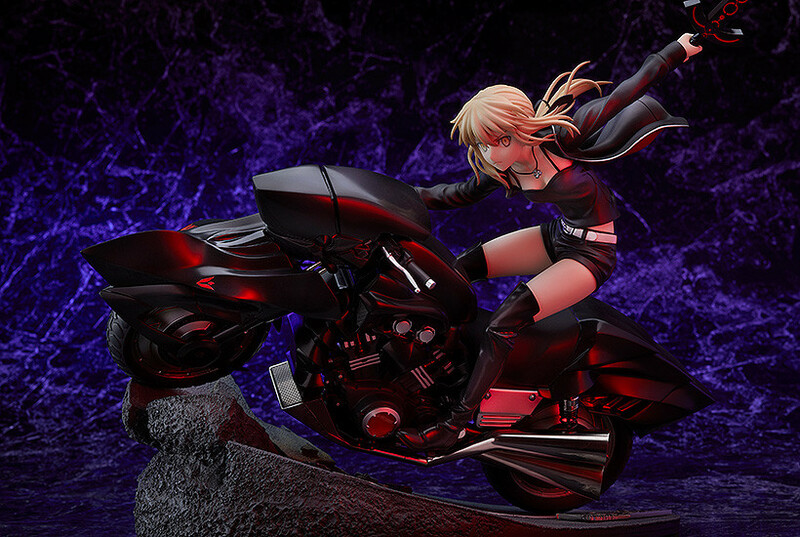 The figure depicts Altria wearing her attire from the Singularity Subspecies I : Malignant Quarantined Demonic Realm : Shinjuku Phantom Incident. 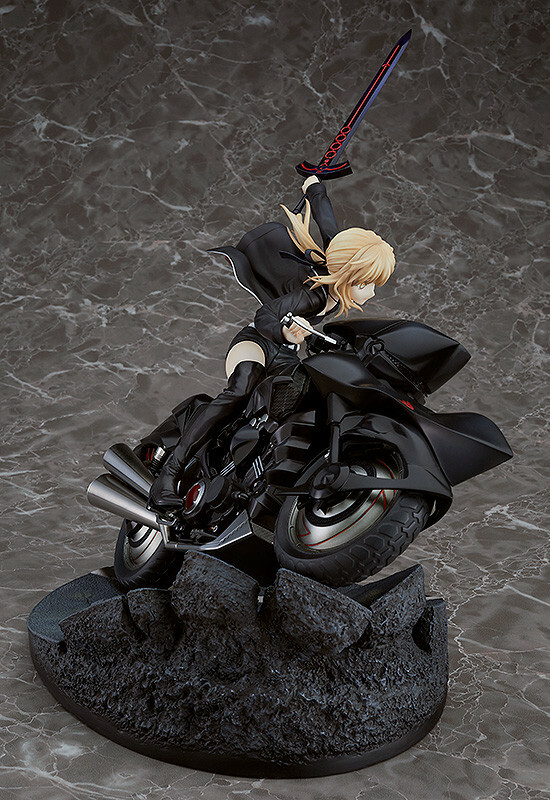 She is shown riding her armored motorbike, the Cuirassier Noir. 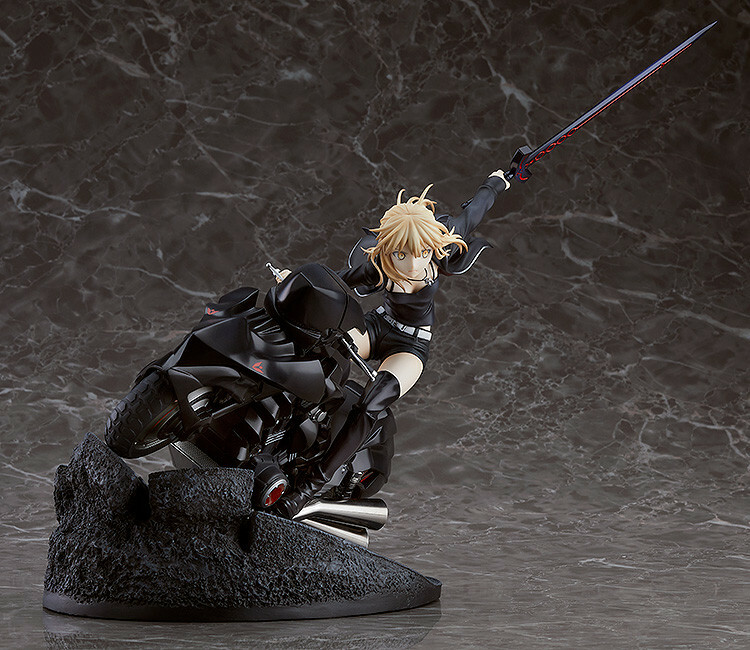 From the popular smartphone game “Fate/Grand Order” comes a scale figure of the Saber servant Altria Pendragon (Alter) wearing a causal outfit for an alternate look compared to her usual armored appearance. 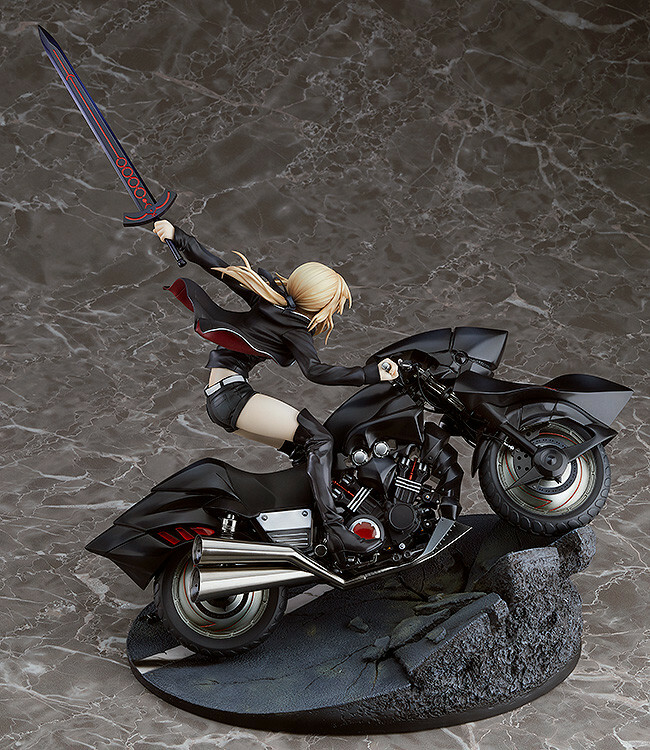 The figure is based on the promotional video for the “Singularity Subspecies I: Malignant Quarantined Demonic Realm: Shinjuku Phantom Incident” act, and features Altria Pendragon (Alter) riding the black armored motorbike Cuirassier Noir while wielding Excalibur Morgan in one hand. You can check out some pictures of the figure below. You can check out the promotional video mentioned in Good Smile Company’s description below. 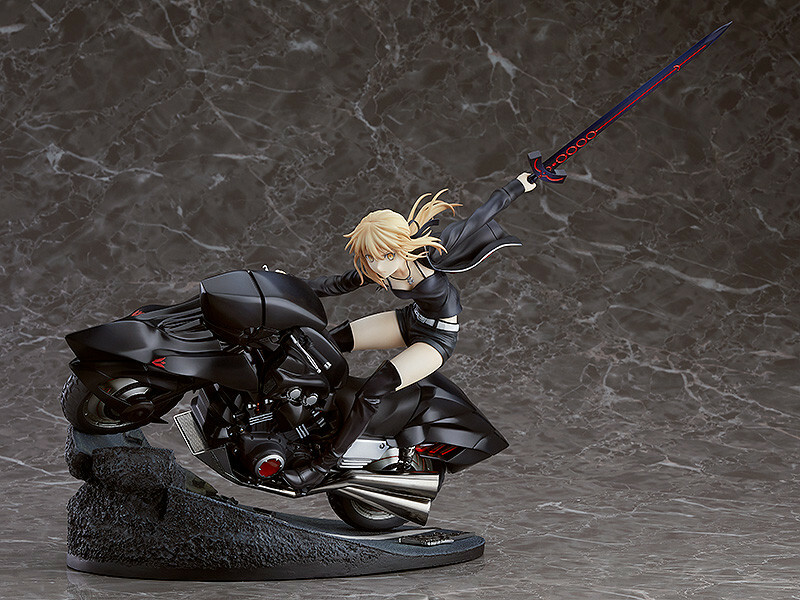 The Saber Alter & Cuirassier Noir figure is 1/8th scale and is approximately 27 cm in length. It is sculpted by Bakusatsu Shooter with paint by Iwabitsu. 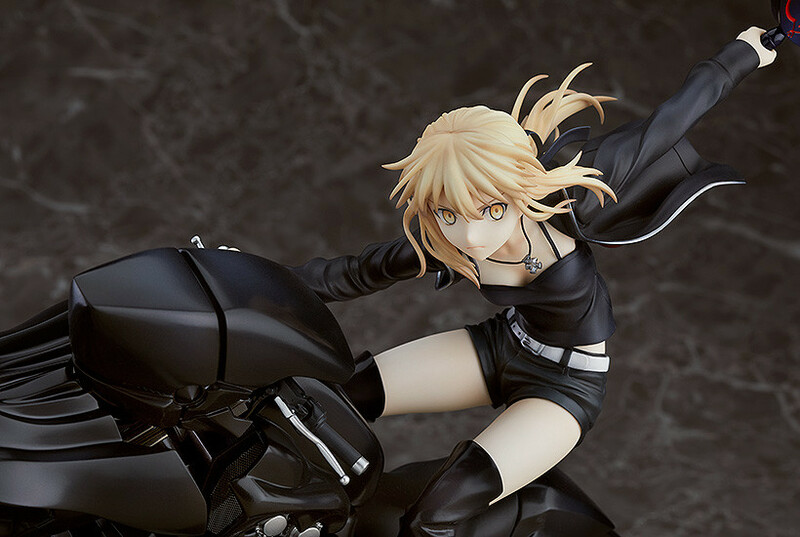 The figure will cost approximately ¥18,333 (Before Tax, about 164.55 USD). You can pre-order the figure from Play-Asia below. Will you be adding this figure to your collection?